Vineyard pastor Jamie Stilson is Ugly. He’s not much to look at, he has a checkered past, and his congregation meets in a converted office building. He is also the founding pastor of one of the most energetic congregations in Cape Coral, Fla. 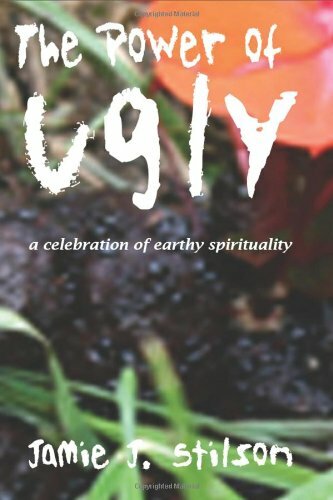 In his debut book, The Power of Ugly: a celebration of earthy spirituality, Stilson takes you through the life experiences that led him to the realization that we all have a bit of Ugly; it’s the awareness of that Ugliness that brings us closer to Christ. But the purpose of this book is not to bash the Trinity Broadcasting Network’s weekday lineup. With self-deprecating candor and numerous anecdotes – some involving bodily functions – Stilson drives home the point that it is Ugly People whom Jesus associated with, preached to, and eventually died for. The story of The Power of Ugly is one of an Ugly person learning how to lead Ugly people to a life with Jesus. Don’t be fooled, though; it’s not all story-telling. Stilson’s research was extensive. Quotes of and references to St. Francis of Assisi, St. Augustine, Mother Teresa, John Calvin, Henri Nouwen, Eugene Peterson, D.L. Moody and other prominent Christian minds appear throughout. They fit seamlessly into the narrative, showing that Stilson has this writing thing down. The message is genuine. I have visited Vineyard Community Church of Cape Coral (bias alert: I live in the city). Though Stilson did not preach at the service that I went to – and it was before I even knew the book existed – my sense of this place was that it was a haven for the downtrodden. Associate pastor Caleb Neff preached about how Jesus loved being around people, all kinds of people. I knew that this church was fulfilling an important role in the community. The Power of Ugly is not for everyone. But if you want an easy read that will make you laugh and make you think about Christian faith – and you are not easily offended/grossed out – then you will not regret checking it out. Note post: As I’m writing this, my two-year-old woke up from her nap having wet the bed. It’s time to do some Ugly Parenting. This entry was posted in Spirituality by Dave Montrose. Bookmark the permalink.